This sculpture is a smaller version of the sculpture I made in India during the 2nd International Stone Sculpture Symposium in Baroda Vadodara. In the future I want it to have a prominent place in a Dutch Museum to make a virtual link between this smaller sculpture and the sculpture in India, using a Layar APP . 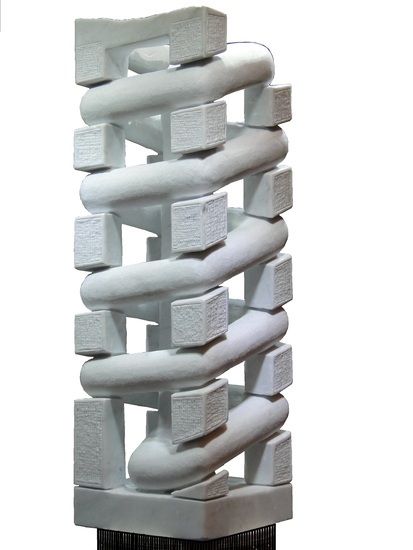 During the Regionale Kunstdagen Amsterdam I have won the 2nd prize with this sculpture.